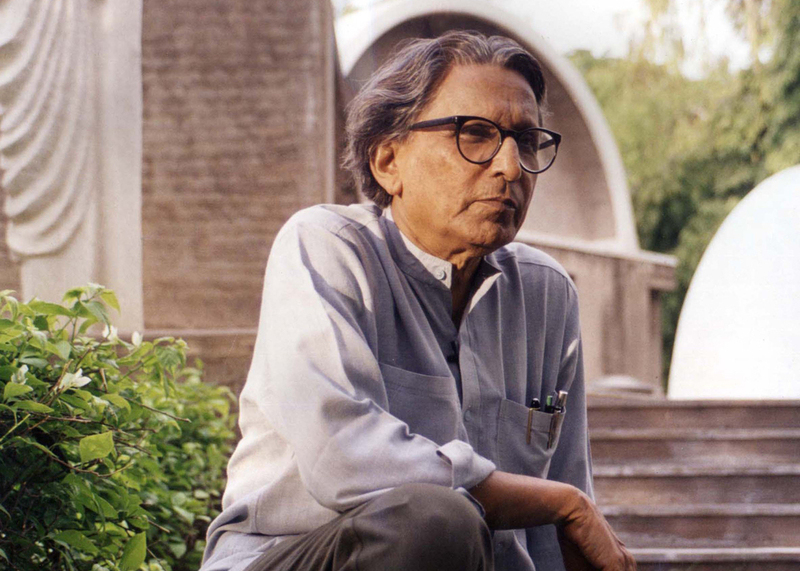 “About time!” was perhaps the most common refrain on social media when it was announced that the 2018 Pritzker Prize had been awarded to the architect, B.V. Doshi, the grand old man of architecture from the Indian subcontinent. He is the first Indian to win the prize and its oldest recipient. It would be impossible to write a history of the modern architecture of India or, for that matter, of the non-western world, without acknowledging Balkrishna Doshi’s seminal contributions. His career spans nearly seven decades as an educator, urbanist and an architect, and his legacy undoubtedly transcends the Global South. Yet for all the tributes that poured in, there was a eagerness to fit the contribution of the man and the significance of the award into a neat box. Robin Pogrebin’s piece in The New York Times, “Top Architecture Prize Goes to Low-Cost Housing Pioneer From India,” was particularly reductive, if not offensive, to those more familiar with the work. It is not unlike calling Beethoven, “a pioneer in concerto writing from Germany.” While both statements might be true, they betray an incredible myopia toward the breadth of their legacies. When Doshi founded his office in Ahmedabad in 1955, the Indian state was not even a decade old. Mahatma Gandhi and his ashram in Ahmedabad had served as the epicenter of a great struggle against British imperialism. Doshi arrived in this city from Chandigarh, where Jawaharlal Nehru, India’s first Prime Minister, had commissioned Le Corbusier to design a new capital for the state of Punjab. Inevitably, the landmarks of the new nation liberated from European imperialism would now be built according to the doctrines of high modernism. Doshi himself was a product of this movement, having worked for four years in the atelier of Le Corbusier in Paris prior to his arrival in Chandigarh. Even in India, modernism was seen as a tour de force that promised a new egalitarian social order, removed from the shackles of tradition. To be modern meant to embrace an architecture of European modernism and its associated dogmas of rationalist thinking, objectivism and tabula rasa planning, with an unfettered belief in progress and technology. For a nation recovering from colonialism, with great and diverse traditions in art, architecture and city form, reconciling these dogmas of modernist thinking took several decades. Doshi’s work and legacy is a search for this reconciliation, between universalism and place, rationalism and what philosopher Paul Ricoeur calls ‘the mythical nucleus of humankind.” The quest embodied in Doshi’s oeuvre has also been the quest of his peers Charles Correa, Achyut Kanvinde, Anant Raje and Raj Rewal, to name a few. It has been a quest of not one, but several generations of architects from the subcontinent and the Global South at large, to create an ontological and literal framework for an architecture that is modern and yet rooted in place. This involved acknowledging and reinterpreting elements from the rich traditions of Indian architecture –the courtyard, the jali (screen), a layered notion of enclosure, ornament and, very significantly, the plinth or the occupied ground. The treatment of the ground as a receptacle for the celebration of life is a critical aspect of Doshi’s work. It marks a clear break from the piloti and the grid–tools of Cartesian planning that favor the automobile’s hegemony over the ground. Doshi’s School of Architecture (1972), Sangath (1980), and The Gufa (1990) reveal an evolution of an autochthonous architecture of the ground, which becomes one of the most significant attributes of these buildings. The School of Architecture presents an activated ground, a constantly changing datum with tactile inhabitation. This is already a distinct shift from the Institute of Indology (1956), one of Doshi's earliest projects, or The Mill Owners Association building by Le Corbusier (1954) (a building that Doshi worked on as a project architect), which establish a strong single datum against the ground plane below. Sangath (which roughly translates as ‘working together through participation’) marks a true departure from the architectural tropes of Corbusier and Louis Kahn–the coming into being of a distinct architecture which is both modern and deeply rooted in place. The ground and the building are now inseparable and symbiotic. Landscape becomes the primary architectural mediator. 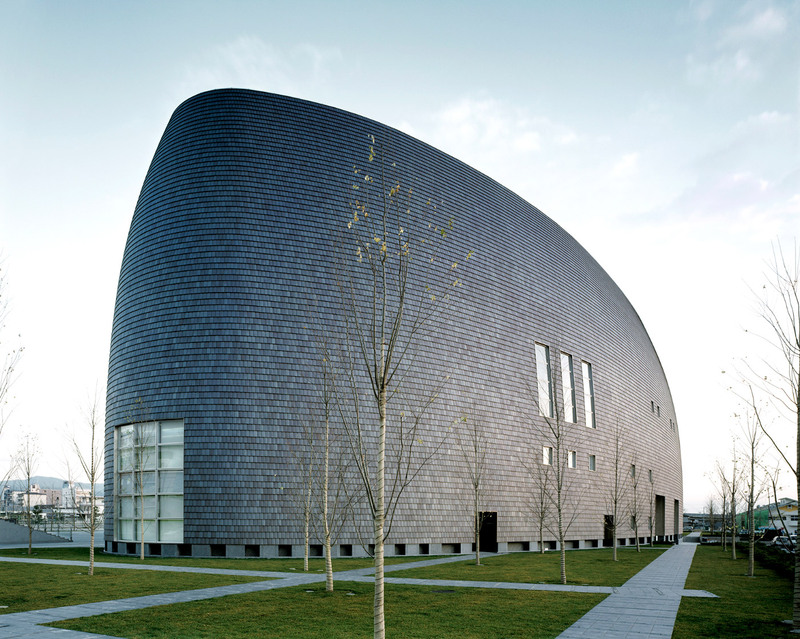 The building is perceived as a rich topography of occupiable plinths culminating in vaulted porcelain mosaic roof forms that frame the sky. It is an architecture of multiplicity, tactility, ornament and myth. 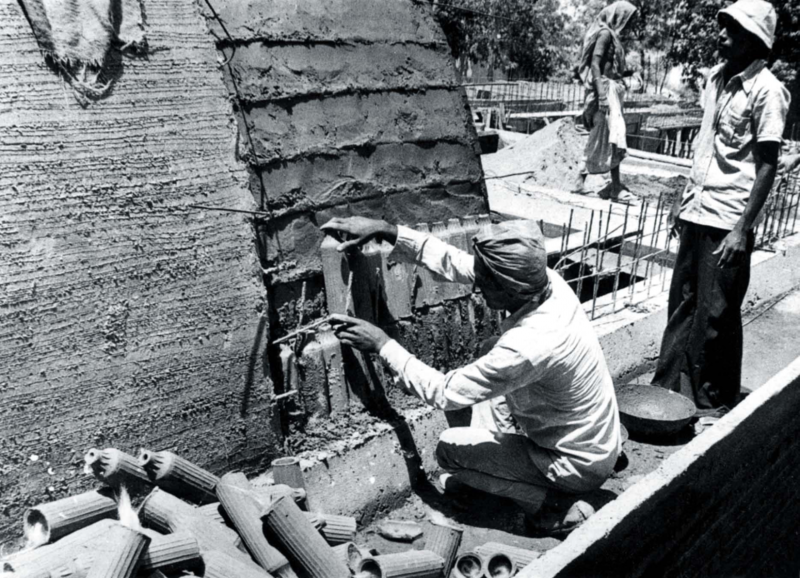 When the project was under construction, Doshi encouraged local craftsmen to leave their own creations in the landscape of the building, giving agency to the artisans. The waste of chiseled stone chips becomes an incredibly beautiful embellishment within the landscape. Upon entering the premises, you enter a haven–a world within a world. Programmatically, the building works not just as a studio but as a real celebration of life–a living ground for exhibitions, performances and festivities. 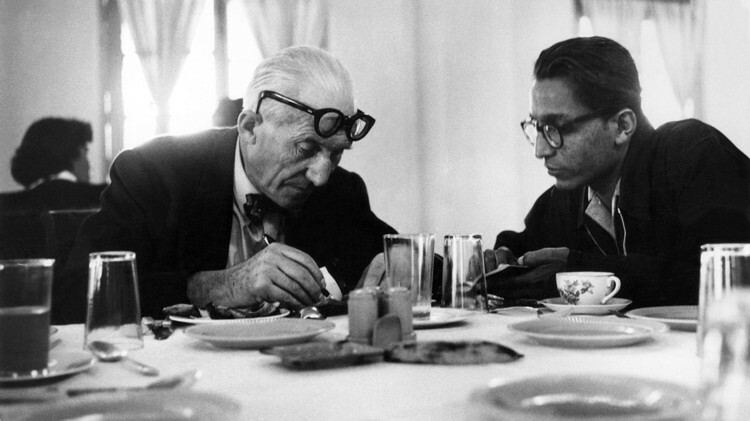 In reflecting on Doshi’s work on housing, the French philosopher Paul Ricœur comes to mind. In History and Truth (1961), Ricoeur says, “The phenomenon of universalization… constitutes a sort of subtle destruction...of the creative nucleus of great cultures…the ethical and mythical nucleus of mankind. Everywhere throughout the world one finds the same bad movie, the same slot machines, the same plastic or aluminum atrocities, the same twisting of language by propaganda.” It is striking how prescient Ricœur is today in an era of fake news and climate change. Everywhere one finds the same twisted architectural forms, the same placelessness, the same erosion of public space and public life, the same universal crisis of housing, and the replacement of housing by speculative real estate in global cities from London and New York to Shanghai, Lagos and Mumbai. It is in this li­ght that Doshi’s low-income housing in Aranya should be considered. The Aranya project is a highly sophisticated design for over 6,500 dwellings. For a site and services project, it breaks from typical gridded layouts that maximize rationalization and efficiency. Instead, the project provides an urban armature where a range of open spaces and pedestrian pathways intersect and connect residential clusters to a central spine. Incrementality is the defining attribute of the project. Users are encouraged to add rooms to the service core of their house over time. Eight demonstration houses were designed by Doshi to illustrate the array of available options, from one-room shelters to more elaborate homes. Cross-subsidies and financial structures were put into place to encourage people to build their homes incrementally. This they did, and Aranya today is a thriving city of over 80,000 people. The project has created common spaces where people from varied castes and diverse religions mix and cooperate. Social cohesion is fostered through the very framework of the project–a crucial aspect that is easily overlooked in its descriptions. That architecture can and should have a socially progressive agenda was, after all, a defining attribute of the modernism–to bring design to the masses, to produce not only a new aesthetic, but also a new egalitarian order. Form thus became an instrument of reducing social inequity. The canonical architects of the time engaged in feats of social housing, such as Weisenhoff Seidlung, the Unité de Habitation, Byker Wall and PREVI Lima. Aranya belongs to this lineage of architectural agency. Today, an architecture of social cohesion has given way to the architect as a celebrity superstar, complicit with neoliberal agendas, designing condominiums for the one percent. Form has utterly lost its social agency and become the perverse weapon of increased social inequity. Never before has the architect seemed more impotent in the face of global crisis–ecological, political and social. It is clear that architecture today needs less autonomy and greater spatial agency. This means a deeper engagement with forms and practices that offer modes of resistance to neoliberal orders, and less collusion with the forces of capital. For an architect who has completed over one hundred projects in nearly seven decades of practice, Doshi has yet to design a luxury condominium or a glass skyscraper! In belatedly acknowledging Doshi’s legacy, the Pritzker Prize finally brings attention to a great body of work. It also exposes a certain state of contemporary culture where practices of resistance are few and far between. Finally, in an age of toxic work cultures and the erosion of family life, the life of B.V Doshi also has something to teach us. This is reflected in his belief that great architecture is attainable not in spite of family life but because of it. Speaking at the Royal Academy of Arts last year, Doshi said that living together within an extended family remained one of the greatest influences of his life, where he "learnt about cooperation, tolerance, togetherness, humility, generosity, and interdependence." While much is made about Doshi’s associations with the masters, it is the women in his life who need to be celebrated–his three daughters, wife and mother-in-law. 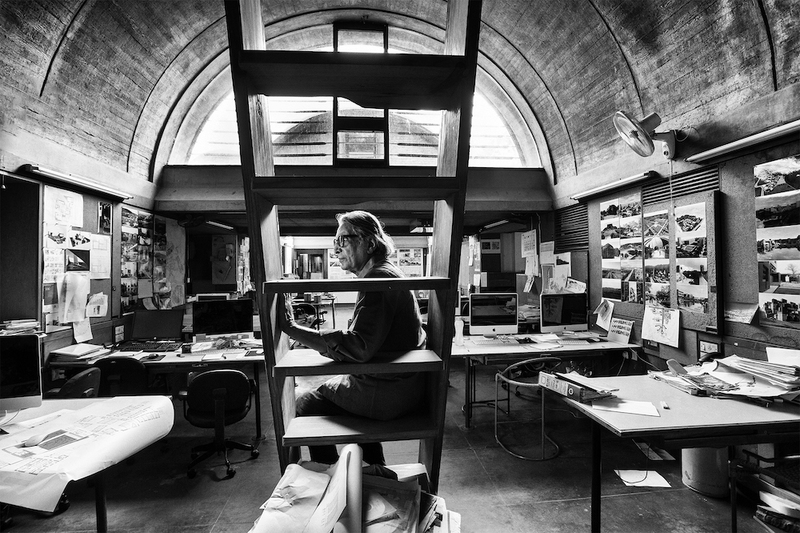 He is surely the only Pritzker Prize winner to have lived with his mother-in-law for 38 years. "I learnt so many things from her simplicity, humility... She was fantastic!" Doshi’s life and work are imbued with an ethos that integrates the quintessential qualities of architecture–form, space and light–with the quintessential attributes that make us human, to create institutions and places of lasting meaning and value; an architecture of place in an age of placelessness. This, in the end, is perhaps what makes Doshi so relevant to contemporary culture today, both in the east and the west. Sarosh Anklesaria is a Brooklyn based architect and Visiting Assistant Professor at the Pratt Institute. Sarosh spent eight years at CEPT University, which was founded by Doshi, and has worked as an architect at Sangath, the office of B.V. Doshi. When I first arrived in Ahmedabad, India by train nearly twenty years ago, loaded with a backpack and a collection of books from which to teach for the first time, I asked the rickshaw driver if he knew where Sangath was located. “Oh, you are looking for Doshi-ji?” he quipped. “Doshi-ji,” the ‘–ji’ signifying both respect and an honorific for an elder or person of standing, “is most important shiksak (a word suggesting teacher) and vaastulkar (architect/engineer).” That a driver in a burgeoning city of millions might recognize the location of Balkrishna Doshi’s famed atelier, as well as the man himself, did not occur to me as unusual until much later. Having known of Doshi-ji from gazing upon Chandigarh in a number of darkened classrooms as a student, I eventually made a pilgrimage to the “new”capital city of the Punjab upon arriving in India, which Doshi had managed. There he was in photos examining drawings alongside Le Corbusier, sitting at a drafting table in Paris, observing a construction site in Bangalore; his name echoed among those architects and students I met: “You must go to Ahmedabad,” they implored. I remained skeptical. And so it was two years later, when I returned to India, this time to teach at CEPT (which later became a university), an elegant brick and concrete architecture and planning school conceived and designed in part by Doshi, that I finally went to Ahmedabad. Until then, a number of my teachers had emphasized a rethinking of modernism’s legacies and impact. Such notions informed the first classes I taught at CEPT, one of the reasons I set off for South Asia in the first place. Here, without the distraction of every emerging trend, it seemed one might be able to both yield to and observe closely how and why architecture and urbanism informs the complexities of daily life. Yet it seemed I could not escape, in every discussion and desk crit, the mention of Doshi-ji. His name and his ideas are a force in a school that bears an unerring vision of moving architecture beyond the conventional dialectics of here and there, them and us. I was living and working within his vision of a holistic architecture bearing the imprint of (Indian) society’s inward turn toward the maintenance of mythmaking. Merging a landscape as much informed by cosmology as that of a not-so-ancient city’s sprawl, the school had become my center of gravity. By this time, I had sipped chai alongside the morphological experiment of the “Gufa,” or Amdavad-ni-Gufa, Doshi's collaboration with the esteemed artist MF Husain; I had walked past the stepped shelled-facades of his studio, Sangath, en route to my favorite dhaba on Drive-in Road. These were familiar landmarks. But nothing prepared me for my first meeting with the man whose presence had long preceded him. I had asked members of the school to introduce me to Doshi-ji. After a few months, I found myself sitting one very hot day in the cool hush of his studio. The atmosphere was charged with the silent attention of men and women working on drawings and models for the Diamond Exchange in Mumbai. Doshi-ji appeared and immediately asked me what buildings I had seen, what books I was reading. I rambled through a list, and soon was asked to sit with a group of young architects at the edge of a long table covered with books, our heads turned daily toward the making of drawings. However, I did not last long in Doshi-ji’s studio. Perhaps my hubris prevented a longer affiliation with him. I did not understand the devotional attention to the “guru,” to the “master” whose teachings were the stuff of legend. Did I think I could not learn from him? Even with all the time I had spent at CEPT and elsewhere that possessed his hallmark spirit, I was not immediately converted. On every occasion I was asked to participate on a design jury, Doshi-ji would glare at me or ignore me altogether. I tried to counter him with misplaced theory on multiple occasions, unsuccessfully. I have reflected on these decisions over the years. So much of what we think of the great architects and their embodiments happens after the fact, over time, even if immediacy does not negate experience. Rhetoric cannot hold sway with an architect such as Doshi, whose lifelong philosophy to educate through and by building drives an unerring attention to the built environment as a mirror of our knowledge...or lack thereof. More recently, I have had the great privilege of visiting Doshi-ji again at his model-filled studios of Sangath as well as at the exhibition of his work at Shanghai's Power Station of Art, organized by Khushnu Hoof. We laughed at my early inattentions. Our discussions have centered on the agency of the visual in relation to the question of inhabiting space as a universal and/or ethical condition. He has asked me how to move beyond the degradation of belief to imbue architecture with the capacity to transform society at multiple scales. With inspired words and aphorisms, Doshi insists on recognizing the self as inhabiting multiple contexts. His projects are intimate glances at the character of a man whose work is revolutionary for its ability to be present and to disappear at the same time. Doshi-ji, Abhinandana, Mubarak, congratulations on your extraordinary achievements and for teaching all of us how to see for ourselves. Sean Anderson is the Associate Curator in the Department of Architecture and Design at The Museum of Modern Art. In a recent interview with AN, Lord Richard Rogers commented on his recent experience on the Pritzker Prize jury. As we eagerly await the announcement on March 7, our editors are speculating who could be on his mind... "Yesterday I was a judge of the Pritzker Prize and we made the choice—can’t talk about it. But, it was extremely interesting, the number of Indian architects and South American architects, there are architects dealing with problems like housing for the poor and working with immensely exciting new materials and places and responding to this. In that sense, it is better, it is broader. I can phone and e-mail as easily as I can go next door. The digital is global. So on the one hand the world is getting smaller… Politically, well, let’s not discuss it." With Alejandro Aravena as the 2016 Pritzker Prize winner and RCR Arquitectes taking home the prize in 2017, architects from India and South Asia could be a good bet. Who do you think will win the 2018 Pritzker Prize? Read the full interview with Lord Rogers, here. Starting tonight—April 4—between 7:30pm ET and 8:00pm ET, the United Nations Headquarters is broadcasting the 2016 Pritzker Prize ceremony. The webcast is also available on webtv.un.org. You can read the Architect's Newspaper's (AN) previous coverage of his win here and AN editor-in-chief William Menking's commentary here. Pritzker Jury: Pathway to The Stars? What does it mean when the winner of the 2016 Pritzker Prize—Chile’s Alejandro Aravena—just came off the jury of the very same award? 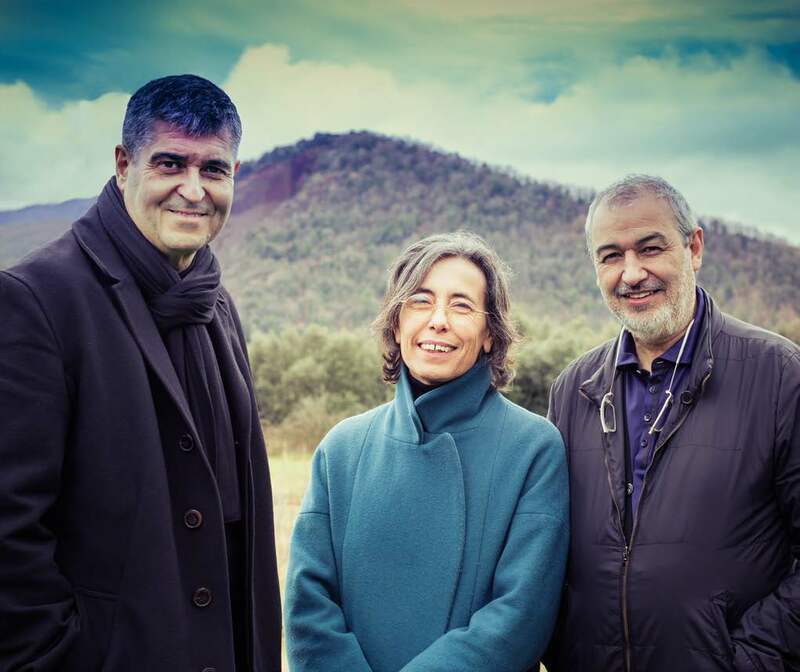 He was on the jury from 2009 to 2015 and all the jurors from 2015 (The Lord Palumbo (Chair), Alejandro Aravena, Stephen Breyer, Yung Ho Chang, Kristin Feireiss, Glenn Murcutt, Richard Rogers, Benedetta Tagliabue, and Ratan N. Tata) were on the 2016 jury—except Aravena? Two past winners were on the jury prior to receiving the award, but won 5 years after departing. Shigeru Ban served from 2006-9 and won in 2014. While Fukihiko Maki was a juror from 1985-88 and won in 93. Aravena's quick turnaround suggests that there is an emphasis on a definition of architecture that Aravena represents and was put on the jury to make a case for…or that he is part a network that makes these decisions and leads to friends nominating friends for the prize. Is this common in the world of international awards and prizes or is this how stars are made in 2016? 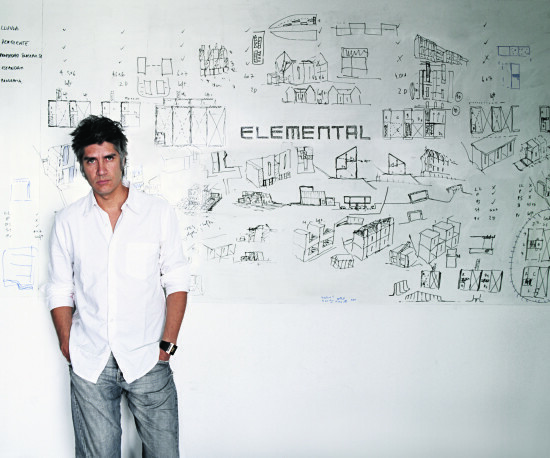 Alejandro Aravena of ELEMENTAL is having a banner year. The Chilean architect—and director of the upcoming 2016 Venice Biennale—has been named the winner of the 2016 Pritzker Architecture Prize. 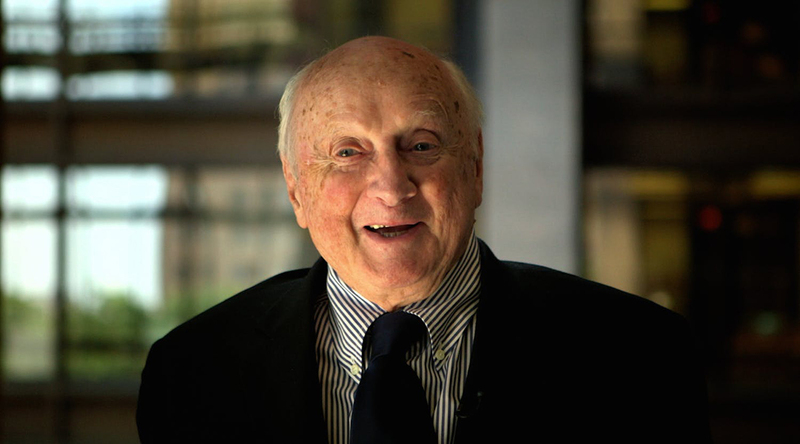 He is best known for his socially-minded approach to architecture—namely housing and disaster relief. Aravena has a number of completed projects that range from “chairs” for sitting on the ground (commissioned by Vitra) to a master plan for Santiago, Chile in the aftermath of a 2010 magnitude 8.8 earthquake and subsequent tsunami. ELEMENTAL’s work with social housing includes a series of “half-finished homes,” a new model for housing designed for the poorest members of society. By leaving the units spaced, the architects allow future users to add-on and personalize their housing, which makes social housing an investment rather than simply a front-end cost. It was first tested at Quinta Monroy (completed 2003) in Iquique, Tarapacá, Chile, and was then replicated at Villa Verde (2010) in Constitución, Maule Region, Chile and their Monterrey Housing (2010) in Monterrey, Mexico. 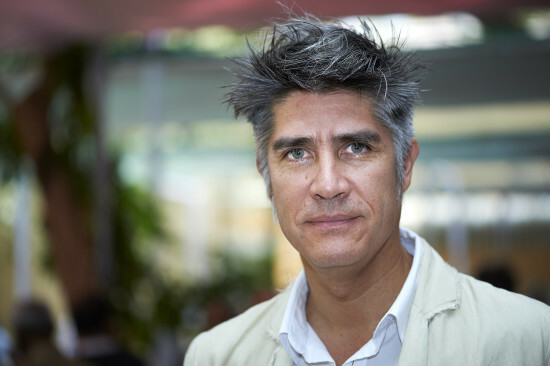 In June 2011, in an interview with AN West Coast Editor Mimi Zeiger, Aravena said: "Social housing is a question with intellectual merit. 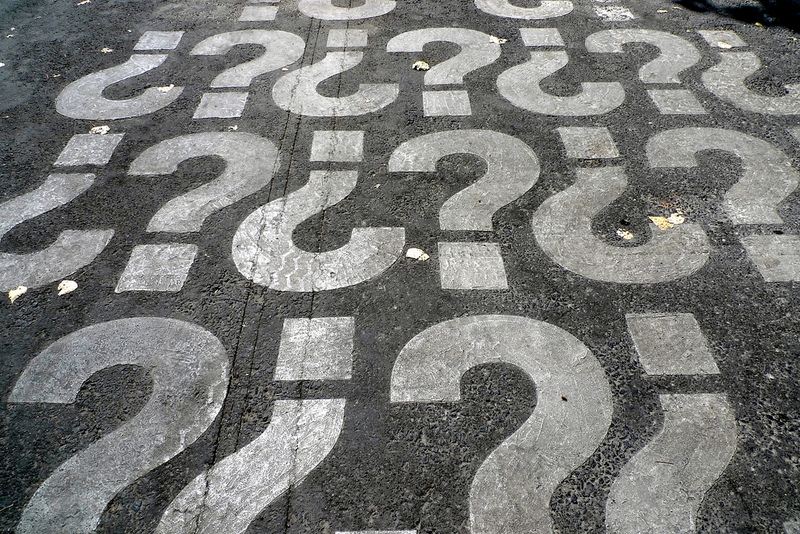 It is a tough question—a challenge, a professional challenge. We had to acccept the constraints in the market. Follow all the constraints, then your solution may be replicated. Prove the point that you can do better, then the market can imitate you. It is not about building one unit, but about building 100, because the market operates at that scale. We went for the real thing. Once you decompose the constraints—that is the good thing about being an outsider—you ask the stupid questions. When you are in a given field you are overwhelmed by the problem.” Aravena’s 2016 Biennale opens in May and will be themed "Reporting From the Front.” It aims to explore how architecture is battling in the real world to confronting the social and political issues that we are faced with today. It should pick up—to some extent— where the Chicago Biennial left off last fall. 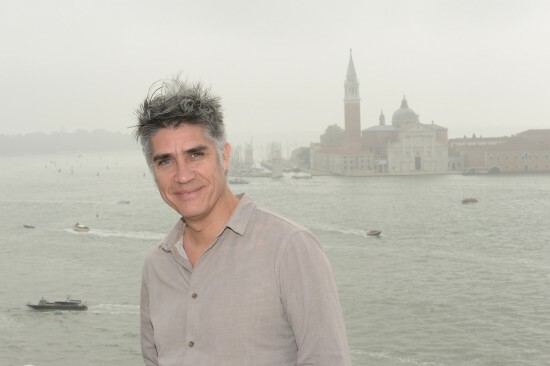 According to the Pritzker committee: Alejandro Aravena has delivered works of architectural excellence in the fields of private, public and educational commissions both in his home country and abroad.... He has undertaken projects of different scales from single-family houses to large institutional buildings.... He understands materials and construction, but also the importance of poetry and the power of architecture to communicate on many levels."